With more and more people and businesses turning to the Internet to sell and buy products, owning a postal scale is steadily becoming a necessity. It is obviously not an essential accessory, but, considering that you can buy a high quality one for anywhere between 30 and 50 bucks, there is really no reason why you should not get one. 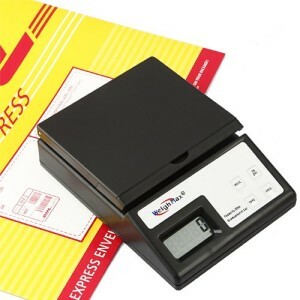 In fact, if you take into consideration that most mailing services give some sort of discount for weighing and paying your own packages, you stand to make your money back within the first month of using the scale. 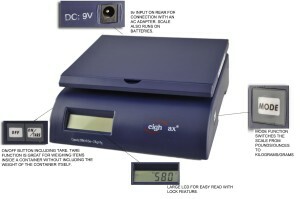 So, keeping all that in mind we have decided to find and test the top 10 best postal scales available on the market in . What follows is a table with all the most important details to help you decide which postal scale you should get, and right after that you can find a detailed review for each one. Many thanks to our friends at Tools Freak for consulting with us on this top. If you are looking for a simple to use, yet versatile postal scale, there is no better option than the Accuteck A-ST85LB. It is extremely affordable, and it has a memory function that allows you to get it to keep displaying the weight even after you have lifted that package. That basically means that the shape of the package no longer matters and, even if it covers the display completely, you can still find out exactly how much it weighs. And, considering just how inexpensive the Accuteck A-ST85LB is, it is quite impressive that it managed to drum up a 4.6 star rating on Amazon from more than 120 customers. The one other postal scale that has really caught our attention from the first moment we saw it, was the Weighmax 2822-75LB. It is just as affordable as the Accuteck that we have mentioned before, it too memorizes and displays the weight of a package after it has been taken off the scale, but it also has a “Tare” function. 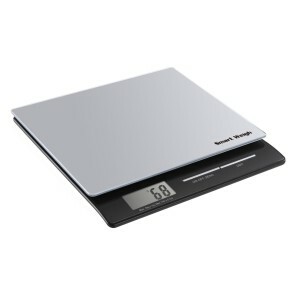 Because of it, you can use the Weighmax 2822-75LB as a kitchen scale too. You can simply place any type of container or bowl on the scale, hit the “Tare” button, and the scale goes back to 0, so you are weighing only the ingredients for your recipes and not the bowl itself. It has only earned a 4.2 star rating on Amazon, but that is from 550 customers, and it is a statistical fact that the more people use a product the bigger are the chances that somebody, somewhere will find something to dislike about it. 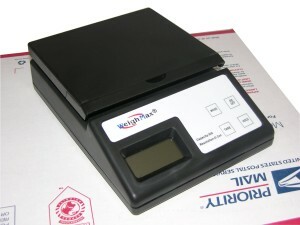 If you are sending a lot of packages through the US postal service, you will probably recognize this Weighmax USPS style postal scale as being similar to the one they use at the postal service. The fact is that all scales can have slight errors in measuring, they are known as tolerable errors, but if you want your packages to weigh as close as what the post office will measure, you should get the Weighmax specially designed scale. 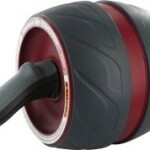 The one thing that you should consider though, is the fact that the Accuteck weights up to 85 pounds, the Weighmax we mentioned after it weighs 74 pounds, and this Weightmax only weighs packages up to 25 pounds. If you know you are not going to weight anything above 5 pounds, and you want to spend the absolute bottom amount of dollars for a postal scale, then the Weighmax W-2812 is the answer for you. It does everything you would expect from a Weighmax scale, including a “Tare” function and a “Hold” button to allow you to read the weight after you have taken your envelop off the scale. And the fact that it has been designed to work with packages of up to 5 pounds means it is extremely accurate with very light items. We have introduced a lot of Weighmax units so far, but that is simply because they are the dominant name in the postal scale market. However, there are other manufacturers on the market in and we are very happy to include in our list of the top 10 best postal scales, the LW Measurements product. It has a “Tare” function, although they call it “Zero”, but it does the same thing, and it also has a “Hold” button, although you will probably not need it. 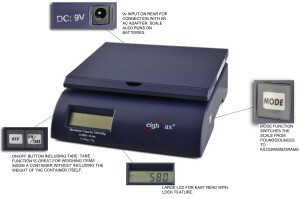 It is one of the largest postal scales you could buy and it has a very big, easy to read, backlit display, so it is unlikely that you will need to use the “Hold” button. 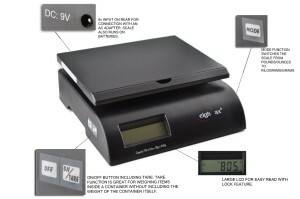 Another extremely cheap and yet very accurate postal scale is the Weighmax 2822. This one has a maximum weight capability of 35 pounds, but it is very close in price to the W-2812 we have talked about before. It is the type of scale you would buy if you only send a few packages each month, because it is very light and relatively small and you can easily store it out of the way. 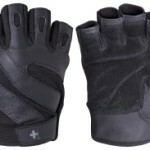 It too was able to get a more than impressive 4.4 Amazon star rating from over 160 customers. There are two very important reasons why we decided to introduce to you the Smart Weight postal scale. For one, it is one of the very few scales that were actually designed to be used both as a kitchen and a postal scale. The second reason why we had to feature it on our top 10 best postal scales, is that it has earned a 4.8 star rating on Amazon, higher than any other reasonably priced postal scale on the market. 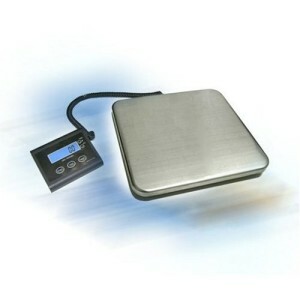 It earned that rating because it not only does everything you would hope a postal or kitchen scale would do, but it also looks very slick and modern and you can have it on your counter top on a continuous basis. The Weighmax 2822-50 has a 50 pound capacity and it only costs a couple of bucks more than the Weighmax 2822. So it really becomes a question of what is the heaviest product you may ever want to ship. The extra bucks are really not that significant so you should really plan for the future when choosing your postal scale. We are going to finish our list of the best postal scales of with 2 of the most expensive postal scales on the market today. 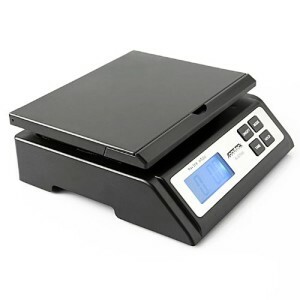 The Weighmax 330 Lb Digital is just that, a postal scale that can weigh up to 330 pounds. It does cost double of what the other Weightmax products do, but even at that price point it is not so expensive that you will not make your money back in half a year. However, the most impressive part about it is not the price tag or the extremely high weight load, but the fact that it uses a mobile display connected to the scale by wires. That means you can see in real time how much your package weighs and you can add more or take off some of the items in the package to get to your desired weight, without having to take the package off the scale. 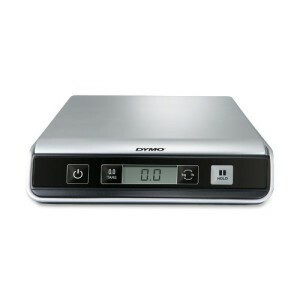 We are going to close with the postal scale that was designed for the modern online marketer, the DYMO Pelouze M25. It connects with your computer via a USB cable and it is pre-programmed to interact with online shipping software systems like Endicia InstaRate. 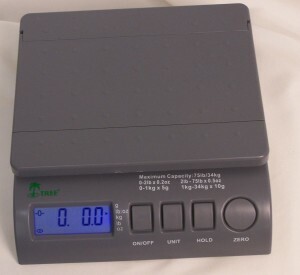 That saves you not only the trouble of having to write the weight yourself, but it also allows you to be sure that the exact weight is recorded from the scale directly to the shipping software.